A busy but fun day! Today I made a new activity for a friend and I have added it to TpT. It is a Compound Word Pocket Chart activity. It would also be fun as a group game, having the children try to find their partner/compound word. Report cards are due Friday so I may not post for a day or two. Have a great week, especially to those of you lucky enough to be on Spring Break!! 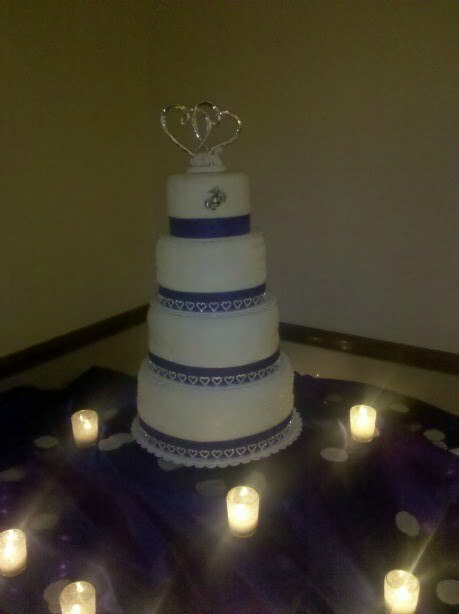 The wedding pics are beautiful...I'm impressed you made the cake! Thanks for following me Liz! My daughter and I made a mini test cake a few weeks ahead so we knew it tasted good. We were afraid it wouldn't look good, lol. They took a big leap of faith having us make it. It was the biggest cake we ever made. I'm glad we got to do it!! Wow! What talent! Found you on TPT...looking forward to following you! Stop by and see me some time! Happy blogging! Thanks Rachel!! Where are you in Ohio? Easy Random Acts of Kindness for Classrooms in December! School Scavenger Hunt Pokemon Style! Blog Design and Custom Graphics (C) 2015 Uniquely Yours Blog Design.